Around 3,000 undocumented Overseas Filipino Workers (OFWs) could benefit from the “Flexi Visa” program, the Department of Foreign Affairs (DFA) stated on Thursday, November 8. The program was launched recently by the Bahrain government, Philippine News Agency reported. The Undersecretary for Migrant Workers, Sarah Lou Arriola, shared that DFA welcomes the inclusion of irregular OFWs in the program. “After a series of quiet negotiations and discussions, Bahrain’s Labor Marketing Regulatory Authority (LMRA) announced for the first time that those runaway domestic workers in the country will now be covered by the Flexi Visa program,” she said. “This is in line with the DFA’s efforts to seek pathways for regularization of our OFWs in implementation of the mandate of President Rodrigo Duterte to spare no effort to protect our nationals overseas,” Arriola added. Arriola also referred to the Flexi Visa program as “a first in the Middle East” and “unique to Bahrain.” She mentioned that during the launching of the program, 120 Filipinos were able to acquire their “blue cards,” while 42 more are expected to receive theirs next week. To date, there are 267 previously undocumented OFWs who have acquired their visas. Notably, the DFA — through the Philippine Embassy in Manama — has covered the visa costs and first two monthly administrative fees of the OFWs who have availed of the program initially. Indeed, it’s not everyday that we hear about a country offering an opportunity for undocumented workers to regularize their status. 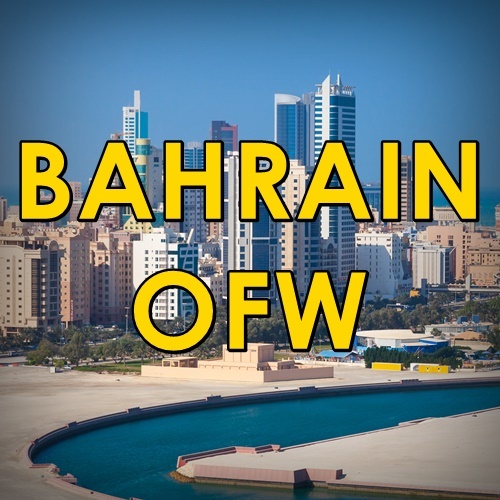 If you are an undocumented OFW in Bahrain, we highly recommend that you take advantage of the Flexi Visa program!